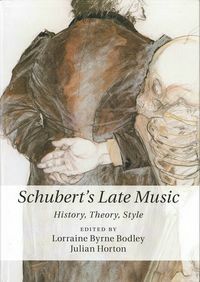 A major new book of essays on the music of the early 19th-century composer Franz Schubert, Schubert’s Late Music: History, Theory, Style, is dedicated to to Susan Youens, J. W. Van Gorkom Professor of Music at the University of Notre Dame. Published by Cambridge University Press and edited by Lorraine Byrne Bodley and Julian Horton, the anthology features essays from Youens and other top scholars in the field. “All students of Schubertian song owe an immense debt of gratitude to the dedicatee … Youens’s contribution to Schubert scholarship, and to the study of nineteenth-century music more generally is unsurpassed,” the editors write. Youens has won fellowships from the National Endowment for the Humanities, the Humboldt Foundation, the Institute for Advanced Study at Princeton, the Guggenheim Foundation, and the National Humanities Center. She is the author of eight books (six from Cambridge University Press) and more than 50 scholarly articles; she writes program notes for Carnegie Hall and has taught at the Ravinia, Aldeburgh, Santa Fe Festivals and the Oxford Lieder Festival. She was also recently named an honorary member of the Society for Musicology in Ireland, a distinction awarded for extraordinary contribution to musicology in that country.